The never ceasing hand of death still reaches out and claims its victims. It is our duty this week to announce the death of Judge Merriwether T. Green. His demise took place last Monday evening at the residence of his son-in-law William Bowers in Monroe township. Wednesday his remains were interred in the Trosper graveyard by the side of his wife and children who have gone before him. His funeral was very largely attended from all parts of the county. Merriwether T. Green was born in Virginia in the year 1808. His father's family moved to Kentucky when he was quite a young man. There he was married to Miss Abigail Trosper. About the year 1837 Mr. Green moved to Missouri, coming to Daviess county. Here he lived and laid out his plans for future life when the county was first organized. Twice we find him honored by the hardy pioneers of this county, as County Judge in 1839 and 1849. 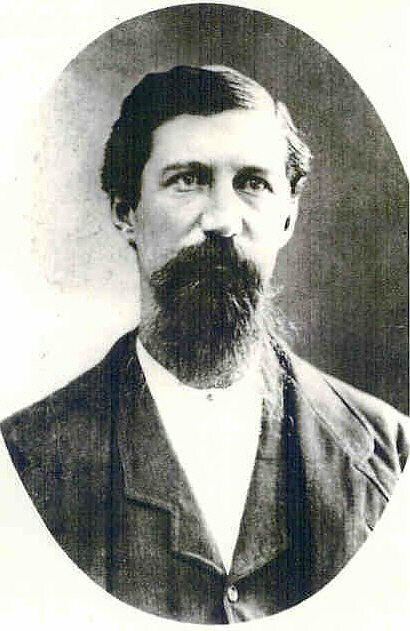 During his first term of service, Judge Green was appointed Relief Commissioner to handle the funds appropriated by the Missouri General Assembly for the sufferers by the Mormon War in Daviess county. During the perilous times of the late (Civil) War, Judge Green held a mail contract between Hamilton and Richmond.